If you have forgotten your password or receiving error messages regarding your password, you can reset the password to a new one. Here is how to guide the password reset process. 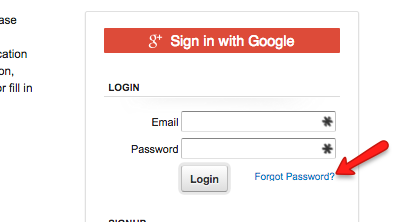 On the Log In screen, there is a Forgot Password next to the Login button. You will be presented with a screen on which you will enter your email address. You should return the Log In screen and enter the temporary password and click Login. You will be presented with the following screen. At this point, a new password can be created by entering it twice and clicking Change Password and Login.